Few steps how to start in Movescount. Creating a new account is really simple. First, just click Join at the top of the page. Then, you just need to give a valid email address and provide a username and password. It doesn't matter if you use a Suunto device best suitable for your actions, a compatible mobile application or just a pen and paper, you can store your training in Movescount. 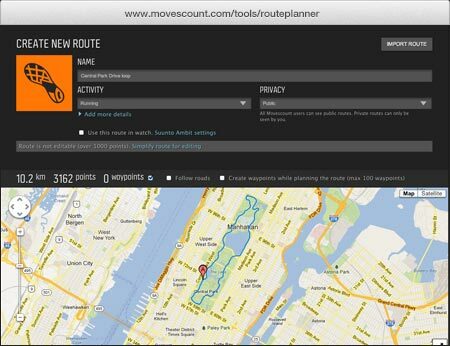 You can connect your device to Movescount with Moveslink software. Get your free software from the Moveslink page. 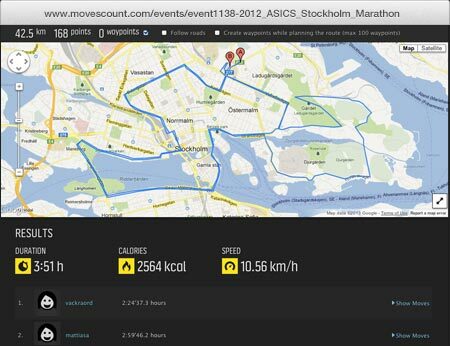 There you will also get guidance on how to use various Suunto devices with Movescount. 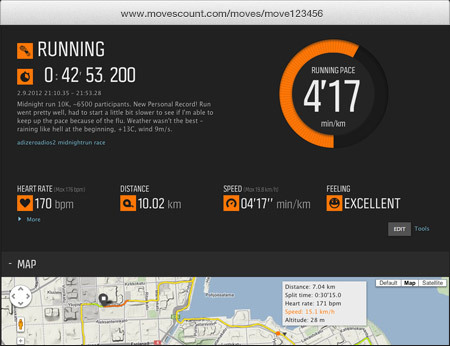 You can also use Movescount without any device. Store every single workout you do with the amount of detail you want. With the analysis tools of Movescount, you can easily get overall picture what you have done during the last weeks or months. 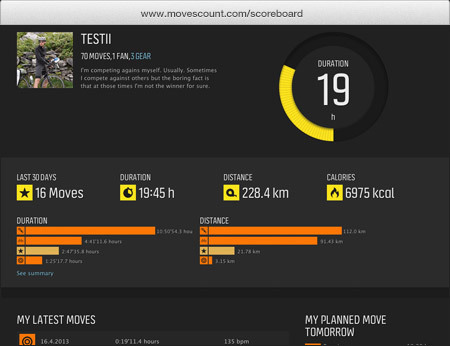 Share your most memorable Moves with your sport-enthusiastic friends inside and outside Movescount. Join groups of likeminded athletes and compare your results when attending the same events. You can choose exactly what information you want to track. And in the interests of good housekeeping, when you add only the details you are interested in all the other fields won’t be visible when you save the Move. Tip! You can mark 5 of your Moves as your greatest Moves which will be shown on your public profile. 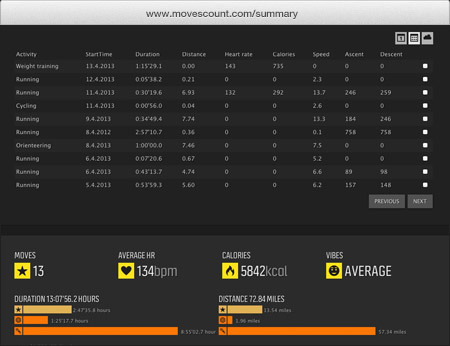 totals like number of Moves, duration, burnt calories, etc. Calendar is an easy way to visualize all your Moves. You can see your Moves and your planned Moves all at once. When using the calendar with the Summary you can choose specific Moves from the calendar—for instance, one week, one month or just some specific Moves. Tip! You can add Moves manually as well as plan your Moves directly in the calendar. Another way to look at your Moves is the table. 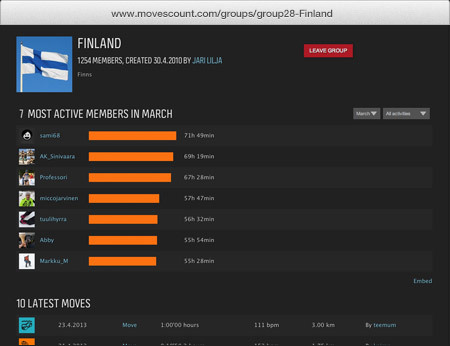 You can analyze your Moves and see totals based on the activity and by month. In the table mode you can select individual Moves, just as you do on the calendar. It’s possible to compare your Moves in the table based on, for instance, duration—by sorting the duration column you can see all your Moves in ascending or descending order. Tags are a great way to look at your achievements. In the tag cloud you can see all the tags you have used for your Moves. The size of the tag represents the frequency of the tag used, e.g. the bigger the tag, the more you have used it. When using the tag cloud in conjunction with the summary you can choose one or several tags just by clicking them in the cloud. You can also select the activity if you wish to see summary of certain activity and certain tag. Tip! You can do a lot of tracking of your Moves by using tags, e.g. type of shoes, or type of training (for example intervals), or the place you were training in. 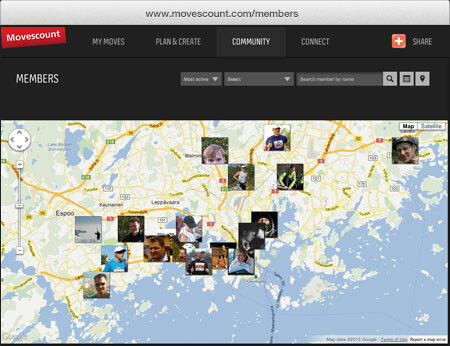 Just remember to tag all your Moves when you add them on Movescount! The Route planner allows you to create and import routes on the map and share them with others. Routes can be easily added to your Moves. In routes you can see where other members have made their Moves, and if you see something you like, you can add it to your route collection. If there are lots of Moves done with the same route, you can see all your Moves done on that route listed, with their respective speed and date. Tip! Whenever you see a route with multiple Moves, you can always click on an individual Move to check it out in detail. 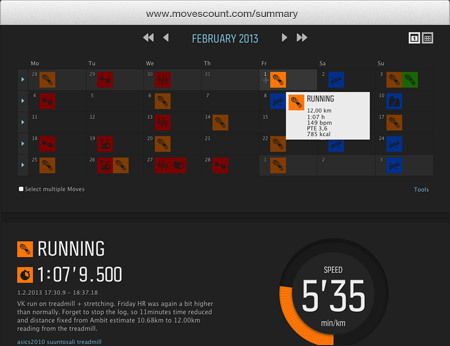 That pretty much goes across Movescount—just click on any Moves or members to see more information. A planned Move is a training session with a set date, activity type, duration, and intensity. You can plan each Move separately for a given day or use a pre-defined training program. To add a training program, first go to Training programs and save one to your library. Then, under Planned Moves, select the training program from the drop-down list next to the week when you want to start. Tip! If you make the same Move regularly, such as an indoor cycling class, drag and drop it to My plan library. 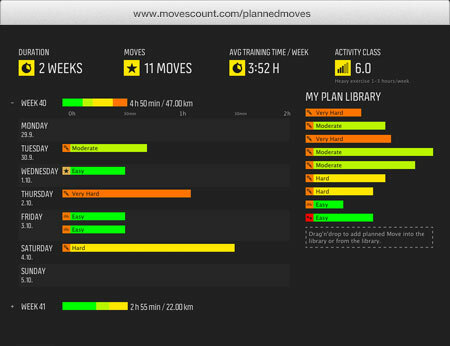 Then you can just drag and drop ready-made Moves to your planned Moves to multiple days. 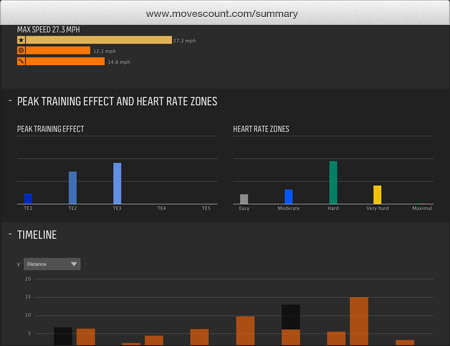 Training programs are sets of defined Moves with activity type, duration, intensity and weekday. A program can last several weeks. Training programs help athletes and adventurers to reach their goals. 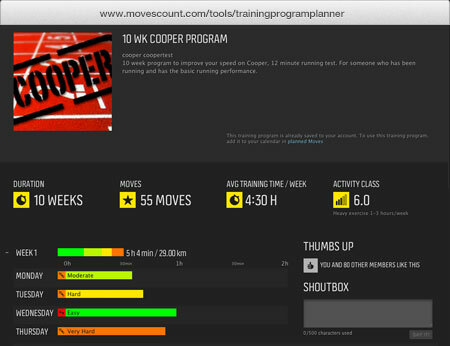 You can find thousands of free training programs from Movescount or you can create one yourself with Training program planner. To use a training program, you first need to save it to your library. Then you can add it to your Planned Moves by selecting it from the drop-down list for the given week. The dates for the Moves in a training program are determined by the week you start the program. All Moves that are made by public members are shown in Moves. There you can see what kind of Moves others get up to—and maybe get some inspiration or start a friendly competition. You can see all the data they’ve included in the Move. If you want to give your seal of approval, you can give a thumbs-up to the Move or a shout in the shoutbox and the member who made the Move will see it in their scoreboard. You can browse other members’ Moves either on the map view – that is focused to the location you have set in your profile location – or as a list. You can sort Moves in many ways—selecting between most liked, latest and longest or selecting the specific activity. Tip! Each Move has its unique address so you can always share the most inspiring, record-breaking, blood, sweat, and tears-inducing Moves in Twitter, Facebook, or other social media site by clicking on the icon on the bottom-right corner. All public members can be found in the members section. If you find a friend, or someone who’s doing things you appreciate, you might start following that person or cheer them on in the shoutbox. You can browse Members either on a map view – that is focused to the location you have set in your profile location – or as a list. 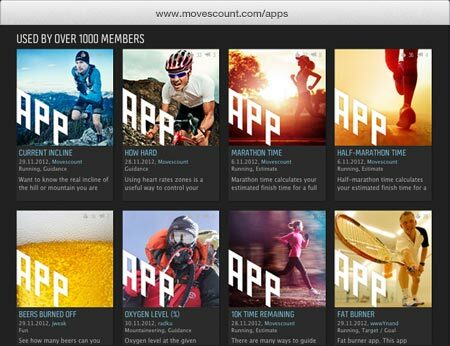 You can sort Members in many ways—selecting between most active, most popular, latest and in alphabetical order, or selecting the activity from activity icons. You can also search for other members if you know their username. Tip! Your public profile has a unique address (URL) that you can use in your own blog, homepage, or even your email signature. This is also possible for every Move, group and route! If you don’t find your friend, please ask him to join. It’s free! You can browse Groups either on a map view – that is focused to the location you have set in your profile location – or in a list. You can sort Groups in many ways—selecting between biggest, latest, most liked and in alphabetical order, or selecting the activity from activity icons. Tip! As group manager you have the possibility to leave messages that are always presented first on the group page. Tip! You can embed top 10 list to you own webpage. You can browse Events either on a map view – that is focused to the location you have set in your profile location – or in a list. You can sort Events in many ways—selecting between date, biggest and most liked, or selecting the activity from activity icons. You can also search events by name. Tip! Link pictures in Flickr to the event by tagging them with tag generated in Movescount. You find the correct tag from the event under the pictures header. 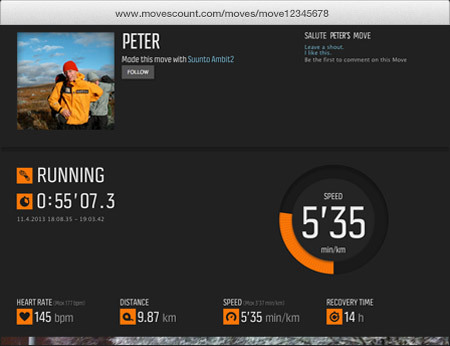 Movescount can also be used with Suunto devices. You can track your Moves with the Suunto Ambit, Quest, t3, t4, t6, M4, M5, X9i, X9Mi, X10 and Memory Belt and transfer data to Movescount. In order to do this, you need to install the Moveslink software. 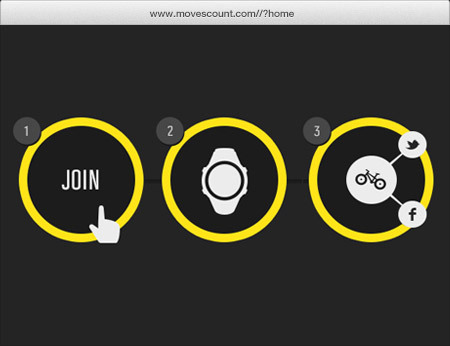 Moveslink is a small piece of software that transfers Moves from your devices to Movescount, and at the same time it keeps your device and Movescount settings synchronized. Moveslink is compatible with both Mac and PC. Find the software from http://www.movescount.com/applications/Moveslink. Tip! You can transfer Moves from your device even without internet connection. Moveslink will ensure that data is then transferred to Movescount when you’re next connected! 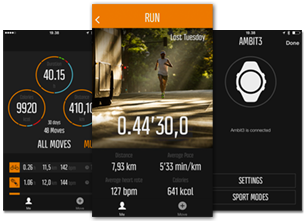 Suunto Apps are Suunto product features that have been created by members of the Movescount community. Find existing Suunto Apps in the App Zone to customize your watch like you want. As an example of already existing Suunto Apps, there's an app that lets you see your estimated finish time on a marathon; or another one that lets you to know the real incline of the hill you're heading up. If you can’t find the feature you need, create your own App with the Suunto App Designer. Using the simple, web-based App Designer, you can combine Ambit readings into a sophisticated calculation, creating a totally original Ambit feature.